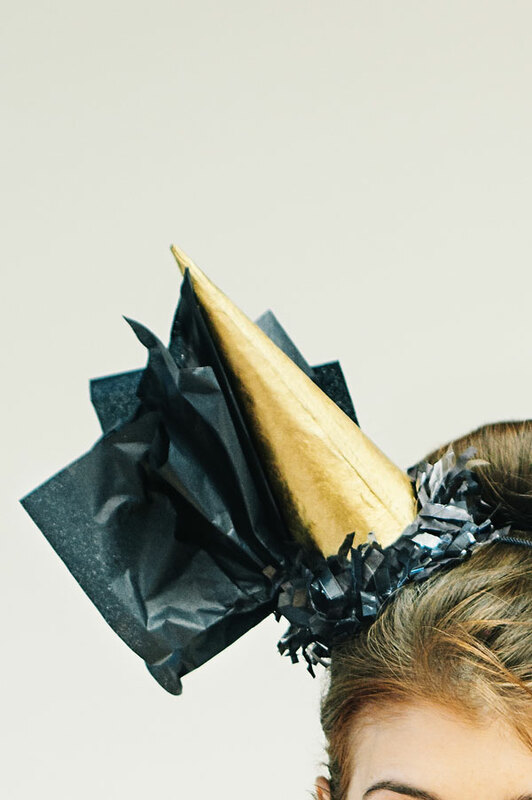 Free People's Blog has three wonderful last minute party favor ideas for those of you procrastinators out there (like me). These look fun and easy to make and definitely have the ability to be ready to go in a short amount of time. 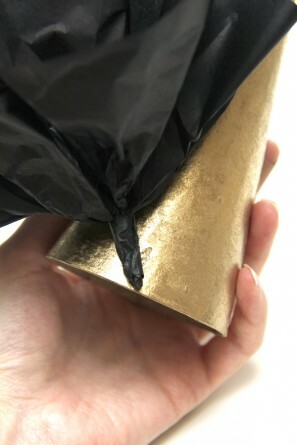 This gold acrylic paint is my jam – it looks like liquid gold! It’s made by Reeves and I can’t get enough of it. I painted a piece of card stock with the gold paint, and to make the confetti I did it the old fashioned way – I used a hole punch and a stack of multicolored post-it notes! 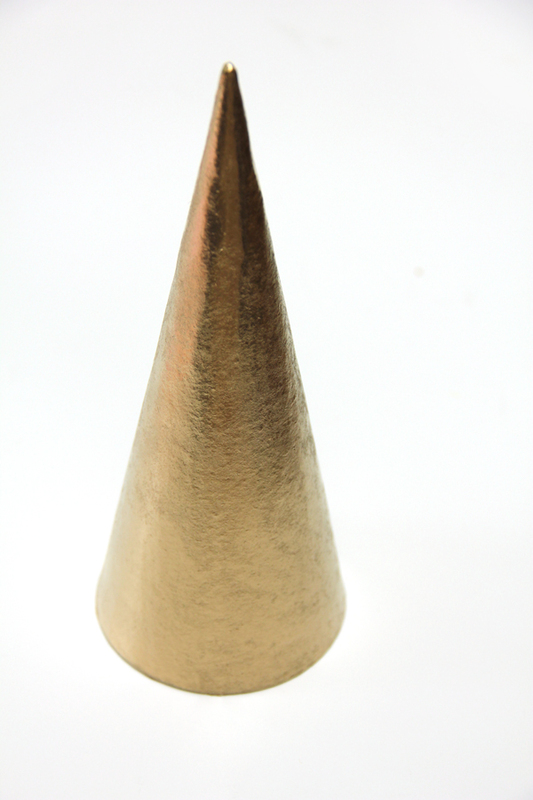 Roll the gold paper into a cone, fill it with confetti, and voila! An adorable confetti cone. Make a bunch of them and place them on a table for your guests to pick up and toss at midnight! 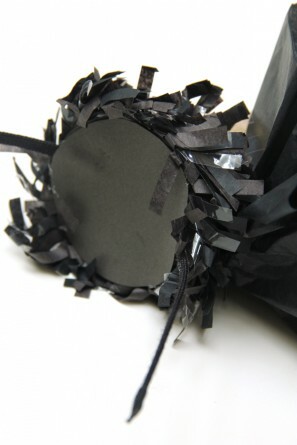 I also love the idea of making little props for photos – especially if you have a photo booth at your party! I used my mustache stamp from a while back and stamped a few on card stock and then just cut them out and glued them to coffee stirrers! 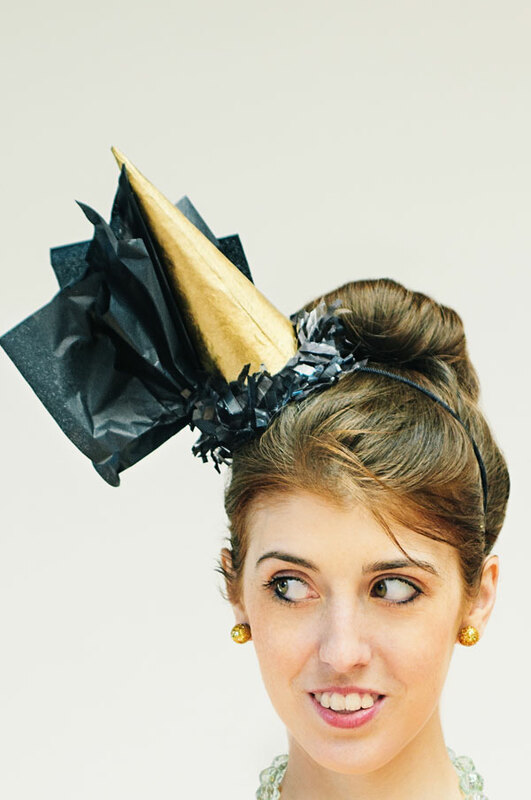 You can also use the gold-painted card stock to make party hats! 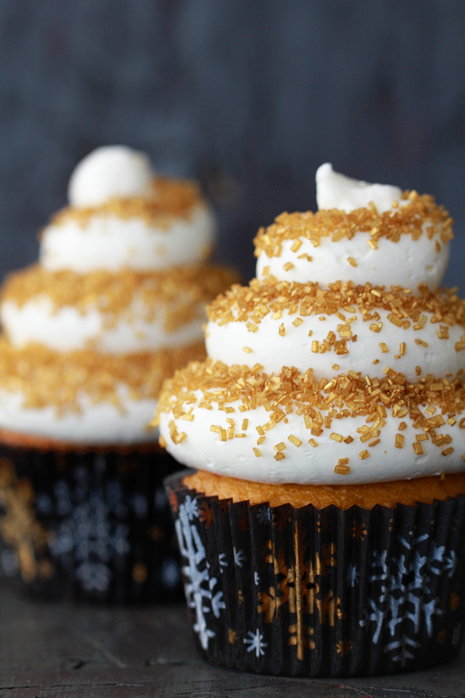 I added some gold glitter to the bottom for some extra sparkle. 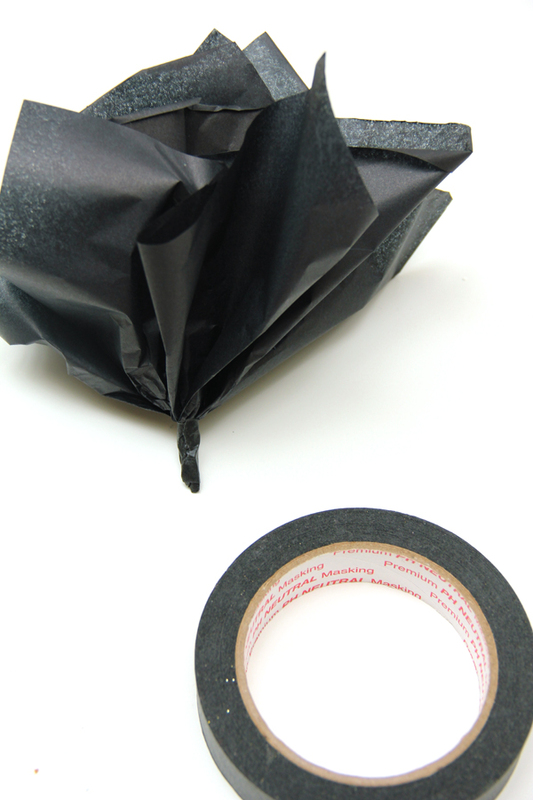 Roll your hat into a cone shape and attach a string so it can be worn. 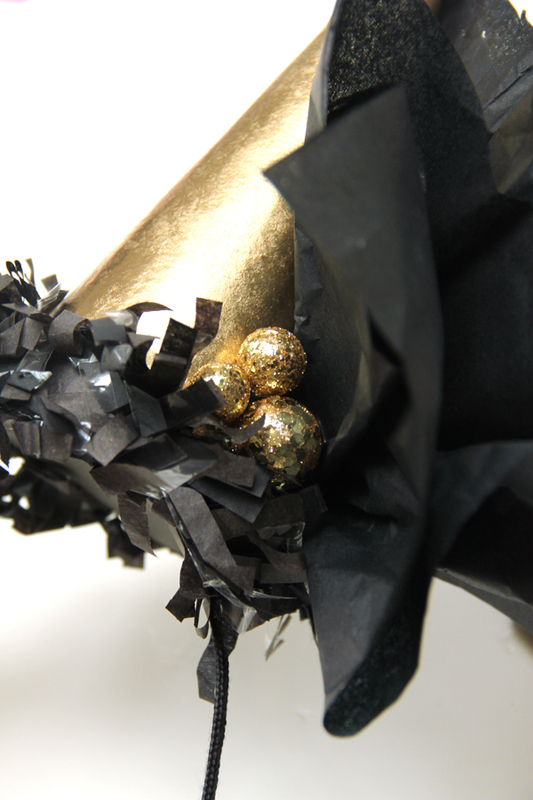 Stick a confetti cone and mustache in a diy glitter champagne flute and you’ve got some seriously adorable New Year’s Eve party favors! 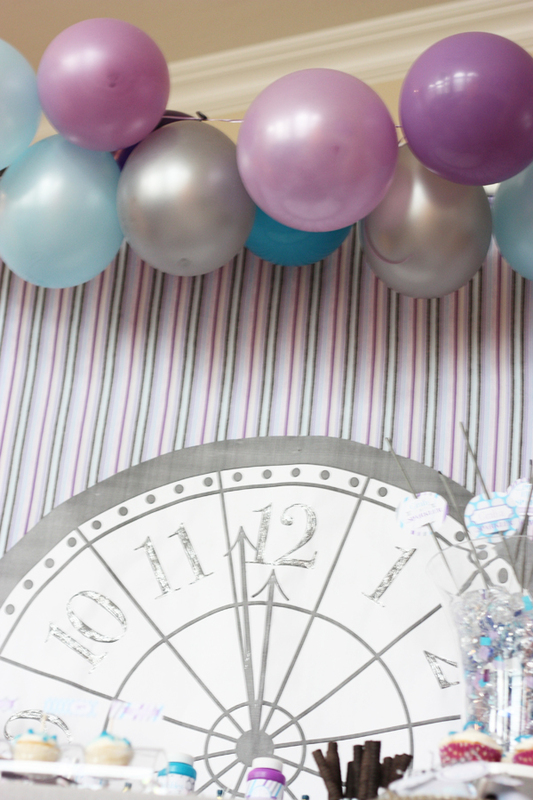 Wants and Wishes blog has a fantastic last minute idea for that New Year's Eve party! If you've been debating how to jazz up the home for the festivities - here you go!! Visit them for more ideas. 1. 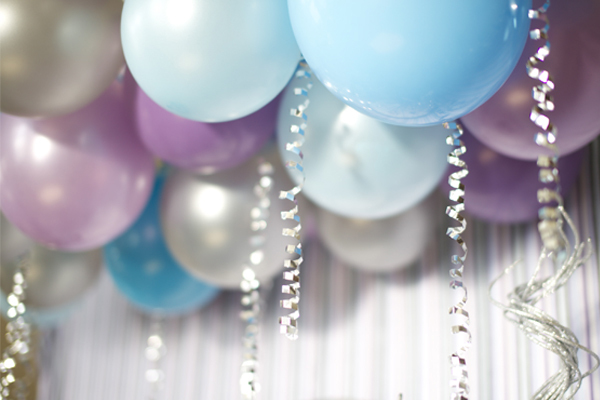 Blow up all of the balloons you would like to use. 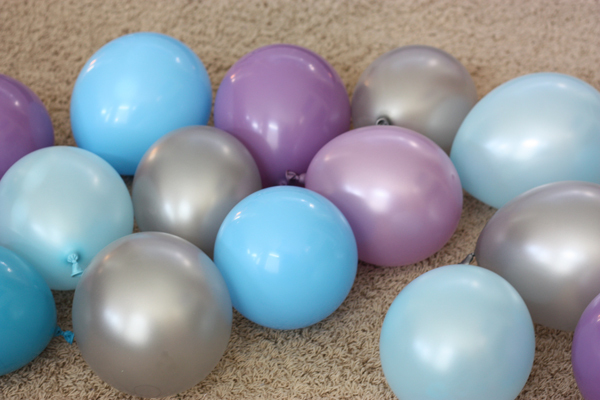 I wanted a variety of colors of balloons so I used 2 different colors of purple, 3 different blues and silver. I think it turned out really well to have the mix of colors. 2. Roughly arrange the colors the way you would like them, this will help when your tying them together that you don't have all the same blues together, but a even mix of colors. 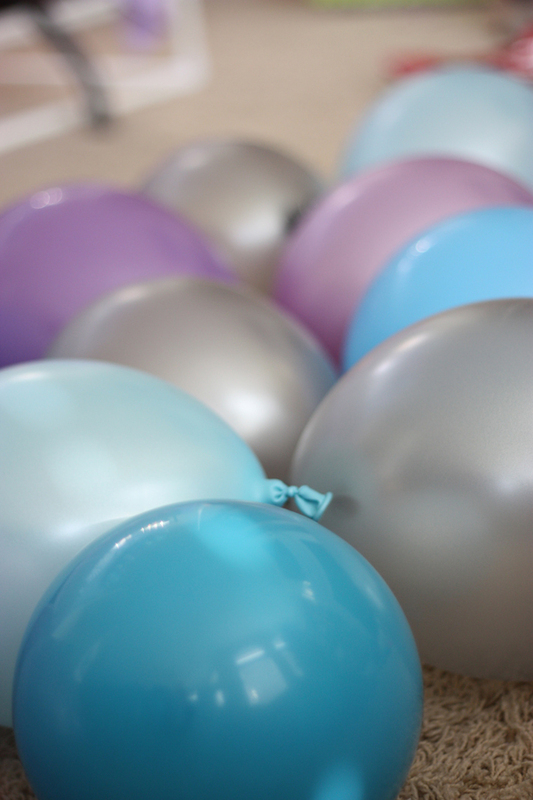 (Note I used almost double the amount of silver balloons since I have different shades of blues & purple balloons). 3. Tie them together with string or curly ribbon. Don't tie them too close as they need a lithe room in between. I tie them together so you have 2 rows of balloons- one hanging on the right then one on the left. Here is a picture with one strand hung up so you can see how full one strand can be. 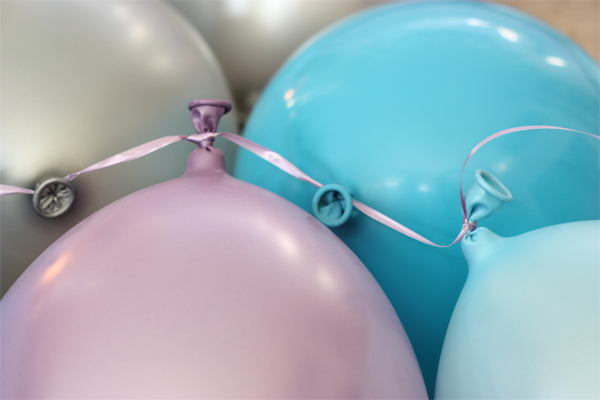 You can add as many strands of balloons you need to create the depth of your area. 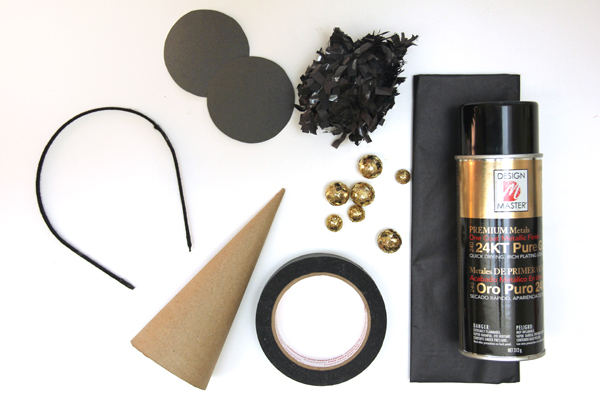 Head on over to "Homework: Today's Assignment: Be Inspired"'s website for this awesome DIY New Year's Eve confetti! This is so easy to whip up and would make for a great last minute party idea. The only problem? Vacuuming it all up! HGTV has a simple, but wonderful idea for those last minute holiday decorations! We love this easy to make and inexpensive garland idea! Completely cover non-glitter side of gold scrapbook paper with mint acrylic paint. 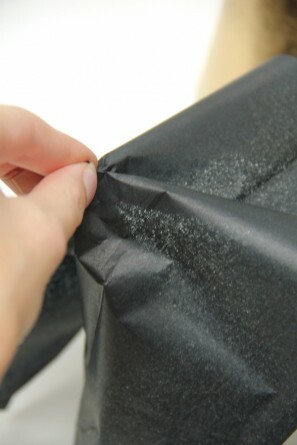 Once paint has fully dried, make inch marks on both edges of paper. Connect marks to create 1-inch stripes. Using an X-Acto knife, carefully score (but don't cut) along marks. 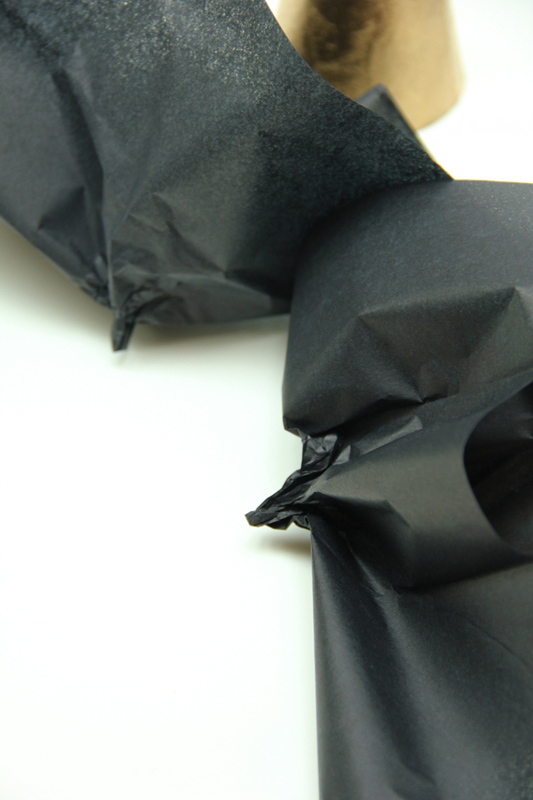 Make sure not to cut all the way through; cut the paper just enough to make it easy to tear later. Flip paper over and slightly crease at score marks to make them more visible. 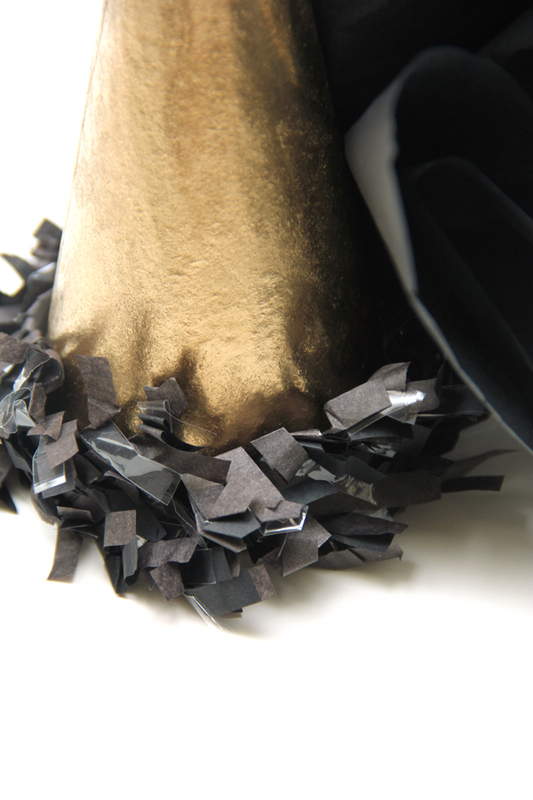 On paper's glittered side, place painter's tape along the center of each scored line (Image 1). Paint exposed paper with mint-green paint. 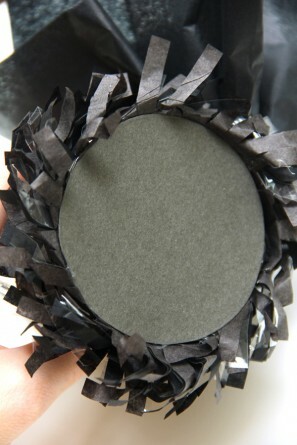 Once paint has dried, carefully remove tape to reveal tone-on-tone pattern (Image 2). Here is another fantastic DIY from Martha Stewart's website. If you still haven't been on her webpage - what are you waiting for?? It is full of wonderful craft ideas for any time of year. We are so close to the holiday, but there is definitely still time to whip up a few easy DIYs for decorations and gift wrapping! !